Commercial units are generally marketed by Alder King, please contact Thomas Dugay for further information. Telephone 0117 317 1000 or email tdugay@alderking.com. Units and desk spaces available directly through existing tenants are listed toward the bottom of the page. 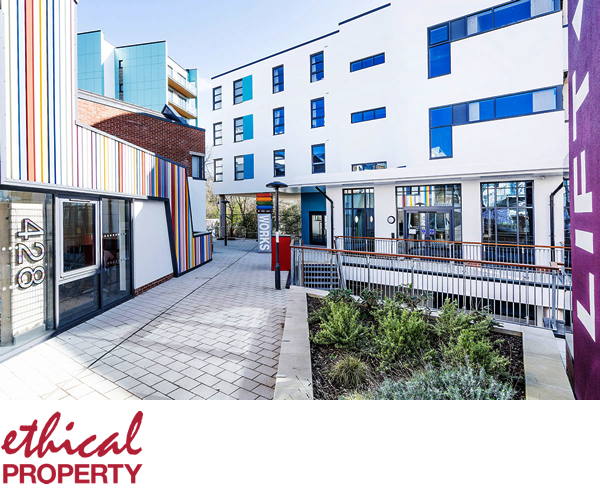 Opening 8th March 2019, Ethical Property's new centre Streamline provides affordable workspace for charities, non-profits and social businesses in the heart of The Paintworks. Offices for 9+ desks are currently available, please visit the Streamline page to find out more. You may also find available desk space listed on the Jobs and Desk Space board. If you're a tenant whose unit is becoming available to rent or buy, you can get it listed on this page. Email another vision or contact Verve for more information.